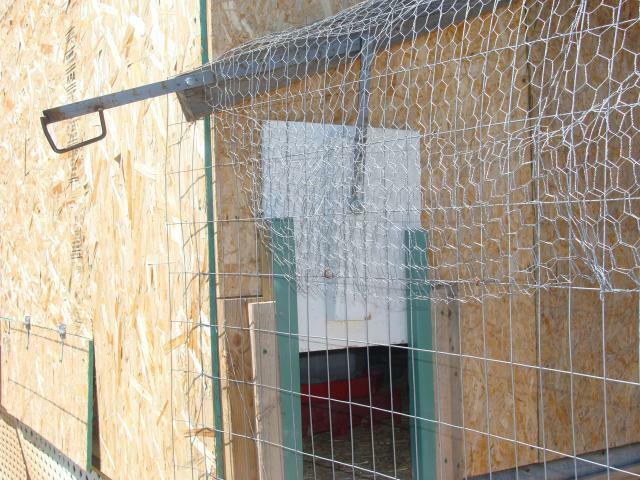 This is the coop my Husband and I built for our chickens in 2010! 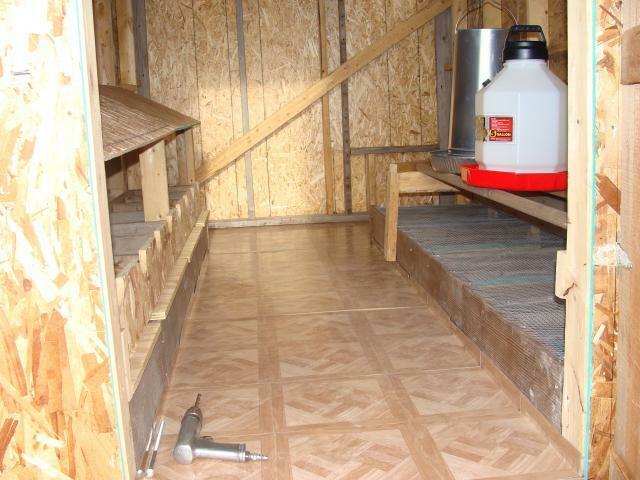 We built the coop floor to be raised from the ground by making a pipe frame and attaching poles to put in the ground. The floor is three layers so it is pretty thick. 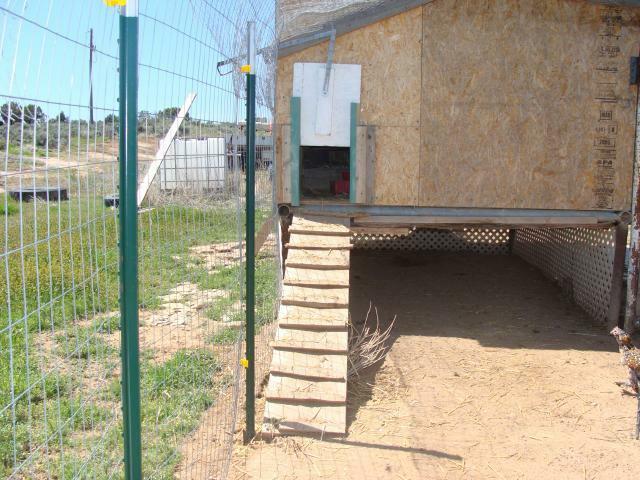 The space under the coop is now lined with lattice and allows the chickens to go under it to have shelter from the weather and have a place that stays dry to have a dust bath. 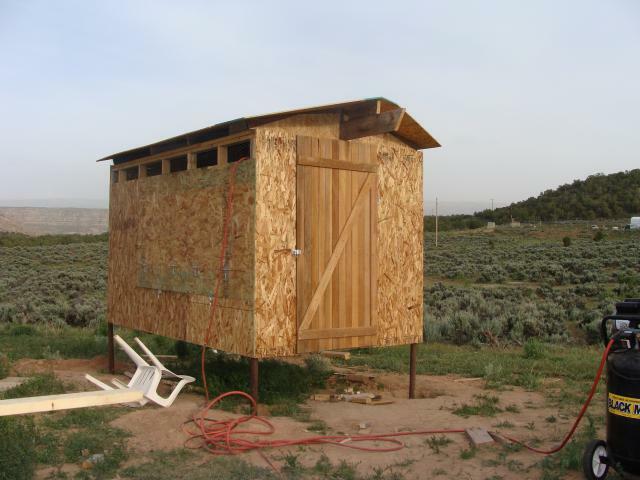 The run is attached on the far side of the coop. 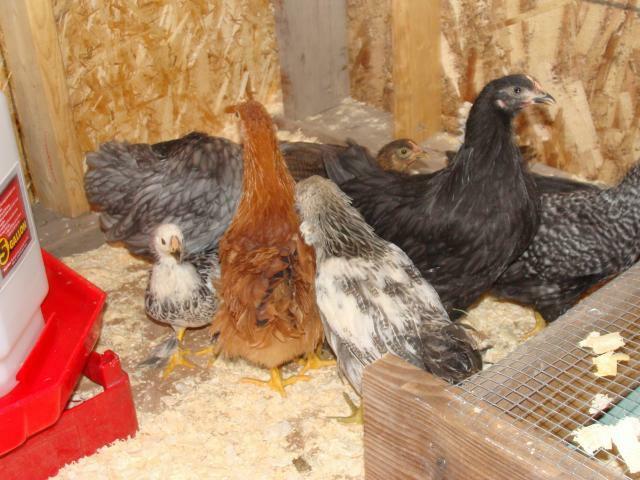 I let the chickens free range when the weather permits and when I can watch to make sure nothing is lurking. 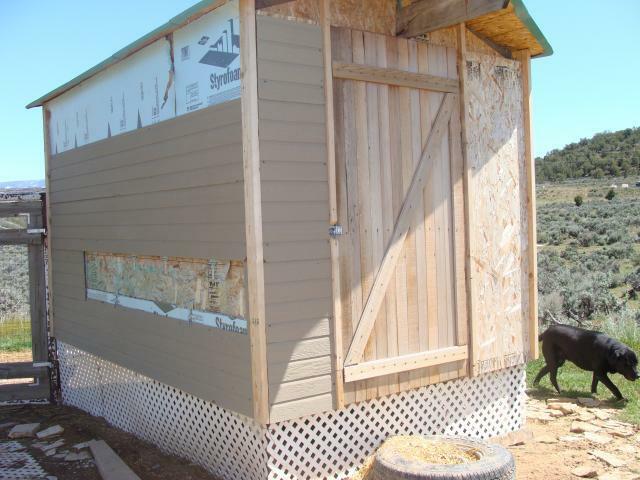 we are adding siding and decorations to our coop which we call the "coopalaium". The floor has stick tiles on it so that I can clean it easily. We have eight nests and three roost bars. 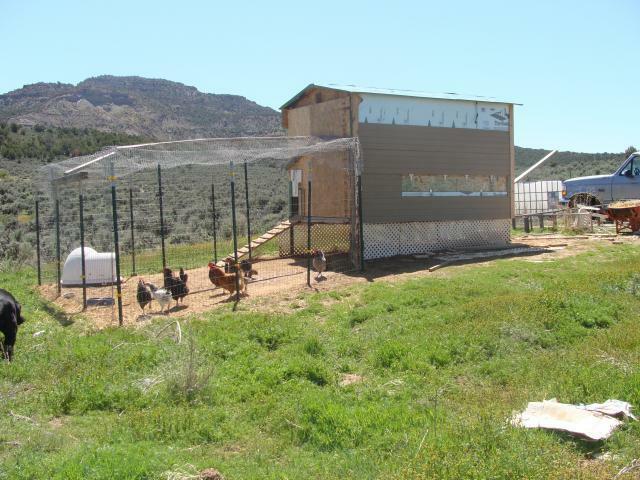 Recently we added a brooder cage above the nests for chicks or sick, hurt chickens. 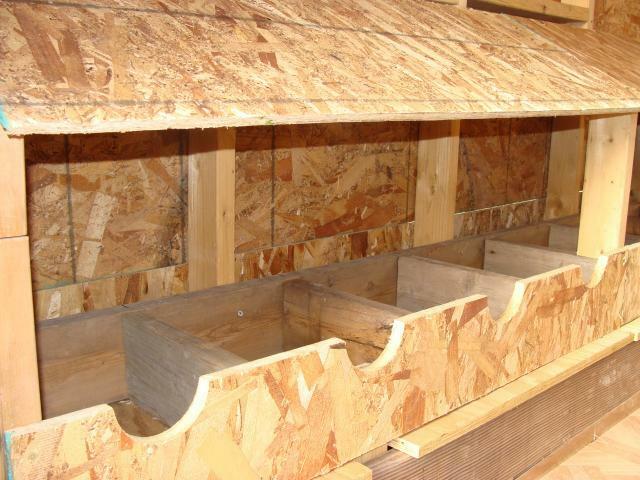 There are egg doors on one side and drawers to pull out from under the roosts. We are adding a window for extra light and air. This coop has taken a year and there is always something we want to add to it. Much to my Husbands chagrin! Before lattice and run are attached! Last years chicks in the coop for the first time! 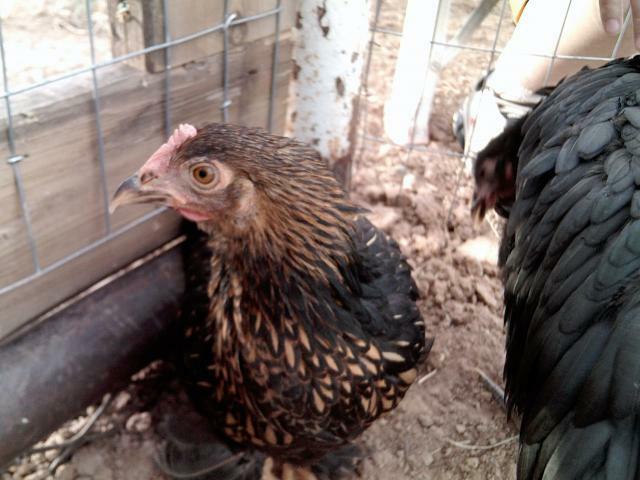 Our golden laced Cochin Bantam "DEE JAY" and her best buddy a black Austerlorp "Barbque"! Thank you for letting me brag about my coop and chickens! This is the pop door from the outside. There is a lever handle attached and it goes up and down in a couple of channles my husband made out of metal. The door stays up with the handle that hooks over a couple of screws that are in the board above the door.